5093a, HUBCAP USED, 14", 88-90, PONTIAC, GRAND PRIX, TRANS SPORT, MACHINED FACE, 6 HOLE TYPE, WITH 3 SPARKLE GRAY QUARTER MOON POCKETS & 6 HOLE, 5 FAKE CHROME LUG NUT CAPS, WORD PONTIAC IN POCKET, 6 METAL CLIPS. 53072, Hubcap COPY CHROME, 15", 07-09, NISSAN, VERSA, 6 HOLE DESIGN, CHROME. 53072, Hubcap COPY CHROME, 15", 07-09, NISSAN, VERSA, 6 HOLE DESIGN, CHROME. ALSO FITS 53079. 53072s, Hubcap COPY SILVER, 15", 07-09, NISSAN, VERSA, 6 HOLE DESIGN, SILVER. 53072, Hubcap COPY SILVER, 15", 07-09, NISSAN, VERSA, 6 HOLE DESIGN, SILVER. ALSO FITS 53079. 53079, Hubcap used, 15", 09-10, NISSAN, CUBE, SPARKLE SILVER, 6 HOLE DESIGN, WITH 6 DIMPLES AROUND RAISED CHROME LOGO, 6 PLASTIC CLIPS & WIRE RING. 53079, Hubcap used, 15", 09-10, NISSAN, CUBE, SPARKLE SILVER, 6 HOLE DESIGN, WITH 6 DIMPLES AROUND RAISED CHROME LOGO, 6 PLASTIC CLIPS & WIRE RING. ALSO FITS 53072. 53079/53072, Hubcap COPY SILVER, 15", 07-09, NISSAN, VERSA, 6 HOLE DESIGN, SILVER. SET $52.90. 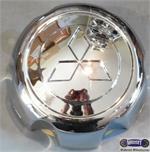 53079, Hubcap COPY CHROME, 15", 07-09, NISSAN, VERSA, 6 HOLE DESIGN, CHROME. SET $71.60. Price: ORDER UNDER 58730, CENTER CAP. 58732/ 58730, CENTER CAP USED, 00-04, AUDI, A6, ALLROAD, 6 HOLES IN CENTER CAP & RAISED AUDI LOGO. 4 PLASTIC CLIPS, WIRE RING, 5-3/4" DIA FOR A 16", RIM, ORDER UNDER 58730, CENTER CAP. 60165a, Used Rims, 14X5-1/2, 4 LUG, 100MM, 93-02, GEO PRIZM, COROLLA, 6 HOLE BLACK STEEL. B IS SILVER. 60165a, Used Rims, 14X5-1/2, 4 LUG, 100MM, 93-02, GEO PRIZM, COROLLA, 6 HOLE BLACK STEEL. A=BLACK B=SILVER. 69344 USED RIM , 15X6, 6 LUG, 5-1/2", 95-00 Toyota, Tacoma, 6 HOLE. 4X4. 69344, USED RIM , 15X6, 6 LUG, 5-1/2", 95-00 Toyota, Tacoma, 6 HOLE. 4X4. 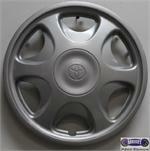 69350, Used Rims, 14X5-1/2 4 LUG, 100MM 96-02, TOYOTA COROLLA, STEEL 6 HOLES. ALSO SEE 60165B ALSO FITS GEO PRIZM. 93-02. CENTERS DIFFER. 69350, Used Rims, 14X5-1/2 4 LUG, 100MM 96-02, TOYOTA COROLLA, STEEL 6 HOLES. ALSO SEE 60165B ALSO FITS GEO PRIZM. 93-02. CENTER DIFFER. 69355, Used Rims, 15X7, 6 LUG, 5-1/2" 99-04, TOYOTA, TACOMA, 4 RUNNER, STEEL ARGENT, 6 SPOKE. 824, Hubcap used, 14", 83-84, FORD, MUSTANG, MACHINED, 6 HOLE TYPE, ARGENT PAINTED SLOTS, NO LOGO, METAL CLIPS. 877, Hubcap used, 15", 89-92, MERCURY, COUGAR, PAINTED SILVER, 6 SET OF 4 SPOKES BETWEEN POCKETS, 6 HOLE TYPE. PLASTIC CLIPS, 2 PIECE COVER. CENTER SOLD SEPARATE.